You don't name a product "legendary" if it's anything but, and Helly Hansen has observed this rule with the Jr Legendary Ski Pant. Built to be tough, mobile and fully weatherproof, the Jr. Legendary Pant blends Helly Tech® waterproof-breathable construction with PrimaLoft® insulation. The waist adjusts for proper fit. Reinforced fabric ensures durability and a hem extension system increases size when the child grows. This pant skis hard all day and comes back for more first thing in the morning. "are these boys or girls?" "These ski pants are a unisex pant, perfect for boys or girls." "Need ski pants for skinny make youth. Waist 28 Inseam 30. 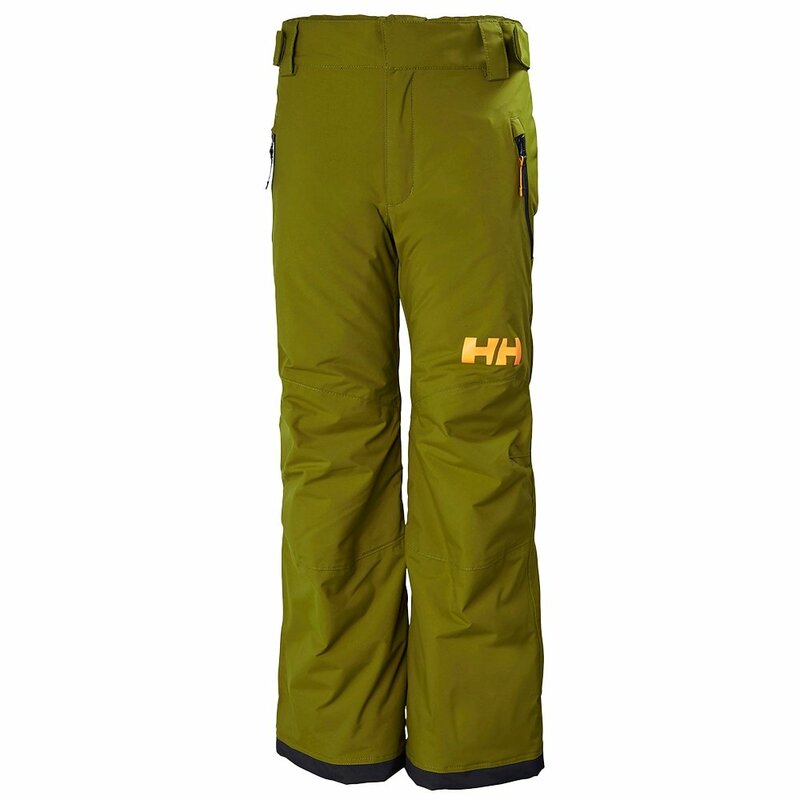 What are best options"
"The Helly Hansen Legendary Ski Pant is a great option! According to the measurements you provided a size 16 would be ideal. This offers a 28-29.5 inch waist (with an adjustable waistband) and an inseam of 31 inches. The Spyder Propulsion Ski Pant is another great option. Click HERE to view. Hope this information helps!" "Is the HH logo on the orange pants black or blue? Thanks "
"The HH logo on the color Neon Coral is black. We hope this information helps!"